Abstract： Standing on the evolution trends of future city and mobility, this paper summaries the four core features of future city and mobility. With smart governance- and sophisticated services- oriented, an integrated solution to smart mobility for next generation city, including ubiquitous perception city, real-time deduction city, smart managing city and all-aspect serving city (“4C” for short), are proposed to better establish smart mobility in the future. 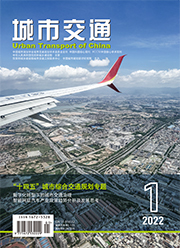 The paper tries to explore a smart path using frontier technology such as ubiquitous perception system based on spatial big data, online evolution system under complicated transportation environment, smart management and control system with “planning-design-operation-management” to promote the transition of city governance services, achieve the vision of a perceptible, operational, manageable city, promote smart growth of future city and citizens' smart travel, and provide certain experience for smart cities in the future.